The United States of America Black History celebration is an annual event which takes place during the month of February. This event can be very poignant and enlightening as I reflect on the stories about the men and women of the darker hue whom have made an indelible mark in society. My interest remains the same whether or not the “his or her” stories and contributions were then or now. Likewise I am not restricted to the month of February to reflect on the many people of courage and input. I am free to do so anytime and choose anyone I so desire. Hence, from the pack my draw is Lionel Hampton. 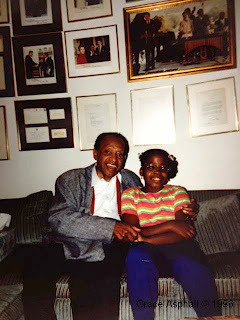 Lionel Hampton, or “Mad Lionel” as he was sometimes called, was born in the year 1908 and died in 2002. He was an American jazz vibraphonist, drummer, pianist, singer, composer, and actor. This extraordinaire man and American music icon entertained fans and audiences locally and internationally and of every race, color, and creed. In the field of entertainment he linked with Benny Goodman, Buddy Rich, Louis Armstrong and Quincy Jones just to name a few. I recall one summer’s day in 1996. It was the end of the workday when I shared, with a co-worker, that it was my intention to meet with Lionel Hampton at his Manhattan residence in New York. My co-worker was overly excited. 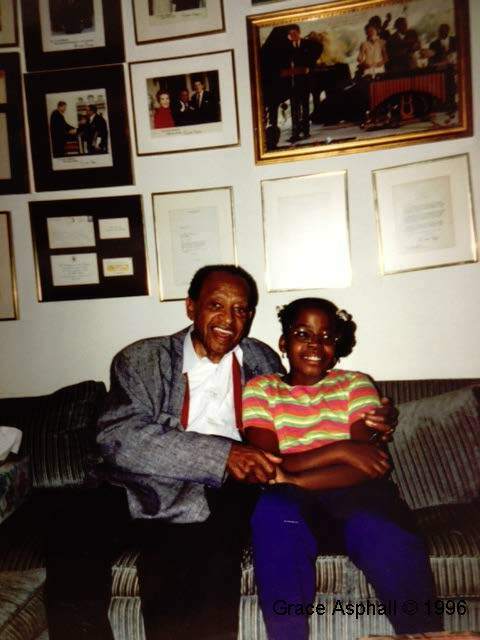 He held this black American entertainer in high esteem and hastened me on. Inasmuch as I was looking forward to the meeting, I certainly wasn’t going to get there at break-neck speed. I was too old to be star-struck. To reinforce this I wasn’t even equipped with a camera or an autograph book. My commute, by subway, to Mr. Hampton’s residence took forty-five minutes. I was greeted at the door by one of my friends who happened to play a very important role in his daily activities and well-being. After a brief chat she offered me a seat on the couch in the living room and then hurried to a nearby room to announce my arrival to Mr. Hampton. Oh wow! I uttered, from my vantage point, obviously impressed with all the accolades about me. It took less than five minutes for Mr. Hampton to appear and within that time I had already turned my eyes loose around the living room and feasted on awards, certificates, trophies, pictures of him with US Presidents, letters and most importantly his famous vibraphone. The name Lionel Hampton was inscribed in big bold letters for all his audience to see, a symbol that he was the master jazz vibraphonist of all times. I let my mind wonder for a moment and just as it was about to take full course, Mr. Hampton appeared, smiling and walking with the aid of a cane. I rose from the couch as he approached me. We then exchanged greetings. His handshake was firm. After our greetings we then sat on the couch and quickly got engaged in conversations about his music and his achievements. Through his conversations it became evident that the cane he used was no measure to go by when it came to him going about, attending functions and entertaining his audiences and fans. My visit lasted for about an hour after which I left for home with an invitation to visit anytime. Of course, I wouldn’t want to abuse my visitor’s status with Lionel Hampton. I learnt from a very young age not to overstay my welcome or become a regular at people’s homes. So I delayed my next visit until the fall of that same year, 1996. I went with company, my younger daughter. I was also equipped with a camera. Maybe after all being star-struck has nothing to do with age as I had originally thought. Dinner was served followed by Mr. Hampton’s willingness to tell me more stories about his achievements and about the people he had associated with in the entertainment industry and elsewhere. His face lit with excitement and so did mine as he spoke about having performed with Chaka Khan. 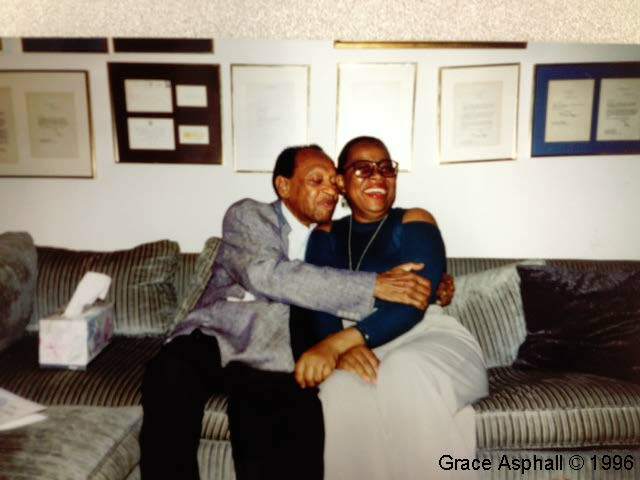 At the time she was one of my favorite entertainers and I wished he could have kept on talking about her but there was more valuable information to share within the schedule of this visit. Eventually, he invited me to a close-up view of his show-and-tell possessions. In my mind it was a mini Smithsonian Institution. His baby grand piano, the cache of pictures and signed documents of past and at the time current Presidents of the United States of America were of the highest caliber. I looked and smiled at a picture with him in the company of a Republican President. It was no secret that Lionel Hampton was a staunch Republican and had made many contributions to the party. 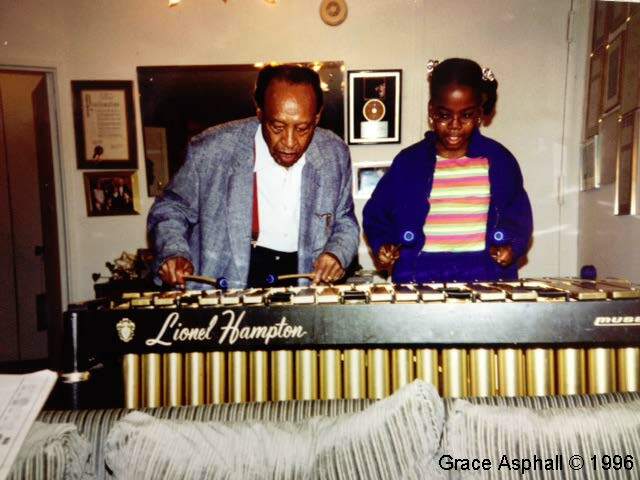 My focus shifted as Mr. Hampton introduced me to his vibraphone, his most prized possession. He suggested we play the vibraphone together and much to my dismay my mediocre pick of notes here and there were the least of his concern. He completely tuned me out as he got carried away at what he did best. I was rather taken aback when he also invited my daughter to join him on the vibraphone. They practiced and then did a little gig together which was very much in sync given the short notice. Our moments on the vibraphone were captured on camera. Besides that prized opportunity, other pictures were taken including one with him in a mischievous mood as I sat poised beside him on the couch, waiting for the click of the camera. Suddenly he scooped me in his arms. I tried to escape but it was too late. 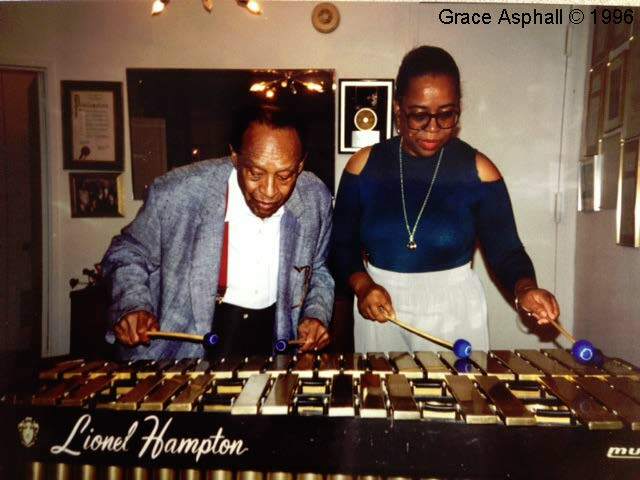 The deed was done; the boyish side of Lionel Hampton was captured. The moment drew laughter then and still does to this day. Mr. Hampton soon became a must-see-person in my world. As a result my family members who were on vacation from the United Kingdom and the island of Jamaica also had the opportunity to meet with him. He probably thought we were some lost relatives as each time we visited it seemed as if he had killed the fattest calf, loads of food for everyone at the dinner table followed by excerpts of his works. I looked forward to receiving the delivery as if they were the great bed time stories of old. I recall one of my dinner visits when he invited me to watch one of his taped performances. His jaw dropping performance had me sitting on the edge of my seat. He was youthful and fit as a fiddle. He was jumping from the vibraphone to the drums, then back to the vibraphone and into the waiting arms of some females in the crowd. The scene was nothing short of a camera-trick. Insane! Amazing! Unbelievable! He too relished his performance of yesteryear. “Oh man, I can’t believe I did all of that,” he commented, smiling. Filled with gallantry, I would say, and having noticed how pleased I was with his performance, he promised to make me a copy of that special tape. On that particular day, I left his apartment filled with joy, wondering if I should go home and try his moves from the tape that I had seen for the want of good exercise. 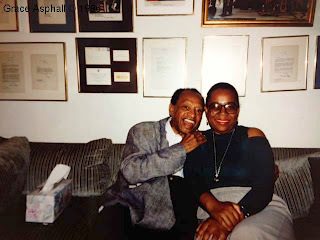 I continued to keep in touch with Mr. Hampton by phone giving little thought about when I would pick up my copy of the tape or return for a visit. The copy will always be there, I told myself. Then one day in 1997 a gloom came into his life. His apartment caught fire. I watched the news on the television and as I did I saw ominous dark clouds of smoke rushing from his apartment windows into the air. I was saddened by the disaster but felt relieved knowing that he was not harmed. 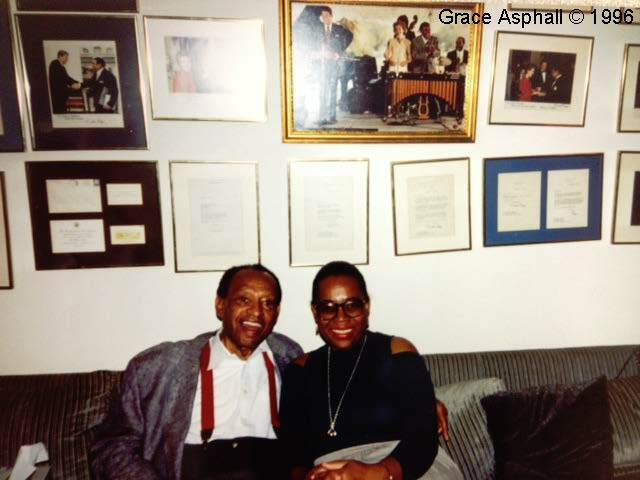 A life time of Jazz mementos were consumed, including his big band arrangement, handwritten notes from seven Presidents of the United States of America, one of whom was Harry S. Truman, portraits of his late wife and the grandmother who reared him. Interestingly, long after the dust was settled, I received a phone call via Mr. Hampton’s personal attendant. She wanted me to know that a cassette tape with some of his music would be gifted to me because the copy of the videotape he had promised me was destroyed in the fire. The gesture left me speechless. He was a man of his word, a man of resilience and stamina. He entertained his audiences into the wee hours of his life.